Everything for your Sewing Journey! 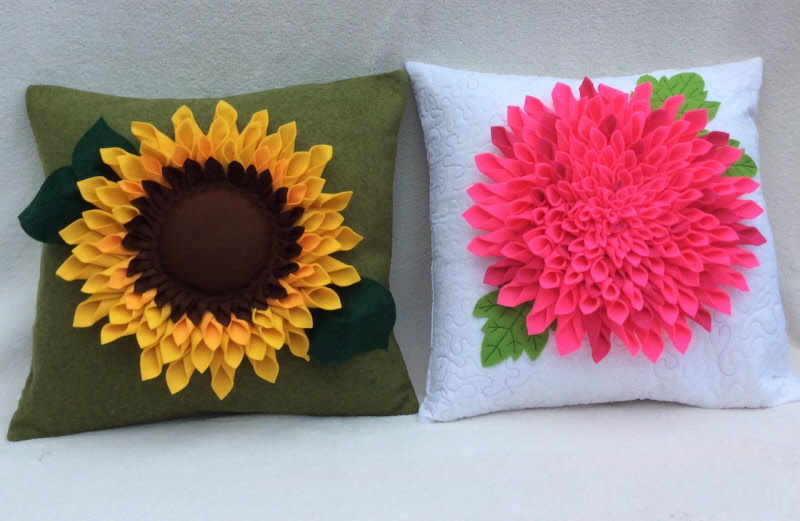 These two beautiful cushions are ready to brighten up your home for spring. Made using felt or a combination of felt and fabric, you get both designs in the one pattern as we always like to give you value for money! The cushions measure approximately 17x17 inches and have been designed by Gail Penberthy. This option gives you the pink felts.